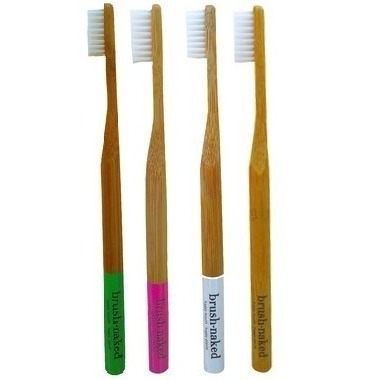 A four pack of Brush Naked Medium 100% bamboo-handled toothbrushes with recyclable DuPont nylon bristles. So excited that Well got Bamboo products. Love the colour codes and they work wonderful. Love these toothbrushes! It's impossible to find a medium grade toothbrush in bamboo.